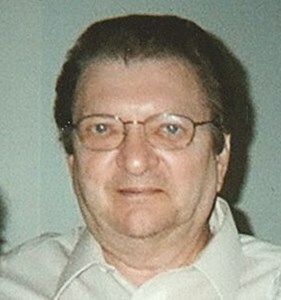 Newcomer Family Obituaries - Kenneth Ray Gressierer 1941 - 2019 - Newcomer Cremations, Funerals & Receptions. Kenneth Gressierer, age 77, passed away Saturday, April 6, 2019. He was born June 4, 1941 in Columbus, OH. He was an avid NASCAR fan, enjoyed hunting, fishing and loved his cats. Surviving family includes sister, Mary Boling; significant other, Donna Holley and granddaughter, Samantha; also survived by numerous grandchildren, great-grandchildren, nieces, nephews and cousins. Preceded in death by parents, Henry and Mary Gressierer; sons, Brian and Michael. Visitation will be held Saturday, April 13, 2019 from 11AM - 2PM at Newcomer Grove City, 3393 Broadway, where funeral service will begin at 2PM. To leave the family a condolence message, please click "Share Memories." Add your memories to the guest book of Kenneth Gressierer. Ken was a great person , employee , helpful kind , courteous , friendly , Mannerly, funny , and the list goes on and on . Ken was a good and dependable friend , he always kept a eye out for you . He was fun to hunt with . He was a excellent bus driver for Columbus City Schools . He is and will be sorely missed by all who knew him. My condolences to the family .